Sony has been one of the top ranked companies in providing the best gaming and entertainment solutions. Sony Televisions, cameras, phones are world renowned for their number of features and quality. But the best gadget till now by Sony is its Play Station. Play station has been reigning over the gaming world since its origin. It has left behind its competitors and traditional computers. With many of its types like PS, PS2, PSP and PS3, Sony has provided its customers with a wide range of products to select from. The latest installment of Play Station, the PS3 has received an extremely overwhelming and positive response by the public. 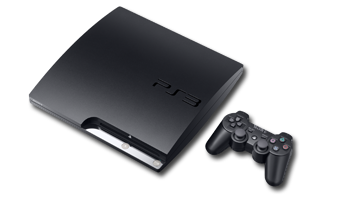 The new PS 3 is much better than its previous version the PS 2. PS 3 is better in performance and is equipped with a lot more features. PS 3 has also been furnished with the VPN technology. Now you can connect to a VPN using your PS 3. PS 3 can be connected to a router which supports Internet and then you can connect to VPN through this Internet connection. PS 3 connects the Internet over a Wi-Fi connection so you have to set up the router using your PC and enable it to connect a VPN connection. Then add your PS 3 in this network. With the use of VPN on your PS 3 you can connect to the gaming servers all over the world and play games online. VPN provides you with high speeds so that you do not face any lag while playing the games. Furthermore you can connect to the restricted gaming servers in the world by masking your IP to an IP of the region where you can access those servers. In this way you can just make your gaming experience much better with a VPN connection.